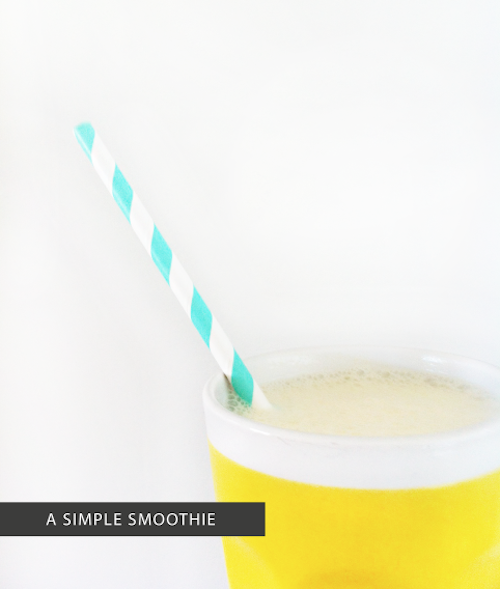 Overall I wouldn't consider myself a big fan of the smoothie, but I am quite partial to this simple banana smoothie which is so easy you could probably make it with your eyes closed. I usually use over ripe frozen bananas but today I had a fresh banana just about to turn, so I used that instead and it did the job. In a blender chuck in a whole banana, a generous table spoon of Greek yogurt, a small scoop of ice-cream, milk & a small squeeze of honey and blend. Easy peasy! By the time I got around to having lunch today it was after 3pm and verging on dinner territory so this was a convenient late lunch solution.